Cima is a small unincorporated community in the Mojave Desert of San Bernardino County, California, in the United States. It lies in a mountain pass on the divide between the Ivanpah Valley and the Mojave River basin, at an elevation of 4,175 feet (1,273 m). The Ivanpah Mountains and Interstate 15 are to the north, the New York Mountains are to the east, and the Providence Mountains are to the south. To the northwest is the Cima Dome & Volcanic Field National Natural Landmark, which contains Cima Dome at 5,745 feet (1,751 m) above sea level, a prominent landmark along I-15. Cima is also home to one of the densest Yucca brevifolia forests in California, located in the Cima Dome. Cima was founded circa 1900 when H.C. Gibson established the first store. In 1905 the first post office opened in the store. Gibson refused to pump the gas for his customers and therefore may have created the first self-service station in the country. The town served as both a railroad siding and a commercial center for ranchers and miners. Few people now live in the area. In fact, like the neighboring town of Kelso to the southwest, Cima is now usually considered a ghost town. Nevertheless, both towns still see considerable activity on the Union Pacific rail line that brought the towns into being. Between Kelso and Cima lies the Cima Grade, the steepest part of the line between the Los Angeles area and Las Vegas. The tracks rise 2,000 feet (610 m) in 20 miles (32 km). Both towns also lie within the Mojave National Preserve, with the attendant tourist activity. For Cima, the average high temperature in July is 93 °F (34 °C), with an average low of 67 °F (19 °C). January averages are 51 °F (11 °C) and 29 °F (−2 °C). The highest temperature on record is 110 °F (43 °C) in 1967, and the lowest is −2 °F (−19 °C), recorded in 1972. Cima receives less than 10 inches (250 mm) of rain in an average year. Cima does have a post office, with the ZIP code 92323 and the area code 760. The 92323 ZIP Code Tabulation Area had a population of 21 at the 2000 census. 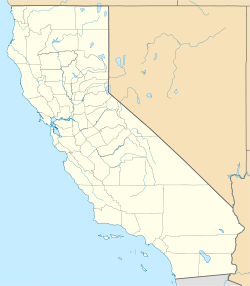 Wikimedia Commons has media related to Cima, California. ^ David W. Kean, Wide Places in the California Roads: The encyclopedia of California's small towns and the roads that lead to them (Volume 1 of 4: Southern California Counties), p. 45. Allan, Stuart (2005). California Road and Recreation Atlas. Benchmark Maps. p. 97. ISBN 0-929591-80-1.